WCX™ World Congress Experience is the mobility industry’s most-anticipated annual event for forward-thinking engineers, executives, OEMs, suppliers, decision-makers, disruptors and the entire spectrum of the mobility-engineering field. 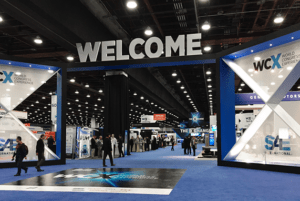 Experience three days of expert-led technical education, peer-to-peer networking, a technology-driven exhibit floor and global mobility solutions that are shifting the marketplace. 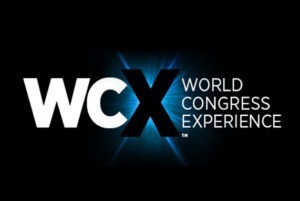 From IoT, Big Data and connectivity to automated and unmanned vehicles, and from safety, blockchain and powertrain to sustainability and cybersecurity, WCX covers every corner of the industry—right in the beating heart of The Motor City. We are looking forward to interesting presentations, unique show-highlights and the latest innovations from the world of automobility. Most of all, we are looking forward to meeting you. Visit us there and discuss your particular needs and ideas. KIPP Car Comfort Systems is an established supplier to the automotive industry. We have been developing and manufacturing mechanical and electromechanical interior and exterior comfort systems for vehicles for over 15 years. We maintain an international presence with more than 300 employees at our facilities in Germany, Hungary, and Mexico, and can offer you an interesting and varied job with exciting challenges. We need you to guarantee our ongoing growth. Become part of a dynamic and innovative team in which you can contribute and realize your ideas. The vibrant corporate culture of a strong family concern and excellent career perspectives are good reasons for you to join us and help to shape the future. salary expectations and your earliest possible entry date to the postal address stated below or by e-mail. After completion of your training, you can look forward to a position as a skilled operative in our foundry facilities in which you will work independently and on your own initiative. Personalized work experience agenda: Basic training in mechanical engineering/learning workshop (1st year of training) general manufacturing, toolmaking, CNC turning shop, foundry, quality assurance, tools management.